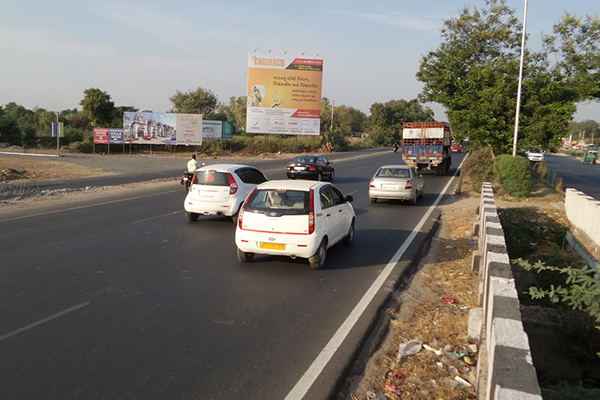 The ever-increasing traffic on the highways can be the best platform to give the highest exposure to your brand, invest in hoardings on Gujarat highways service and feel the difference. We are best outdoor advertising company in Ahmedabad, providing you everything that is required to attract the highest group of viewers for your brand and promise to deliver considerable returns in the shortest period of time. We pursue prime locations on the highways, an assortment of hoardings, creative team and cutting-edge technologies to bring off excellence and exclusiveness that makes your hoardings on Gujarat highways a distinctive and luring for every passerby. The ingenious location of the hoarding in conjunction with the high-quality printings can be the game changer for your brand an edge over competitors. Further, by availing our service you will be free from the annoyance of govt. entitlement to the location and only experience the superiority of our servicing at the best price. Non lit, front lit, and back lit are the types of hoardings which all we provide at the best rates as well as available in different shapes and sizes in order to match your budget.